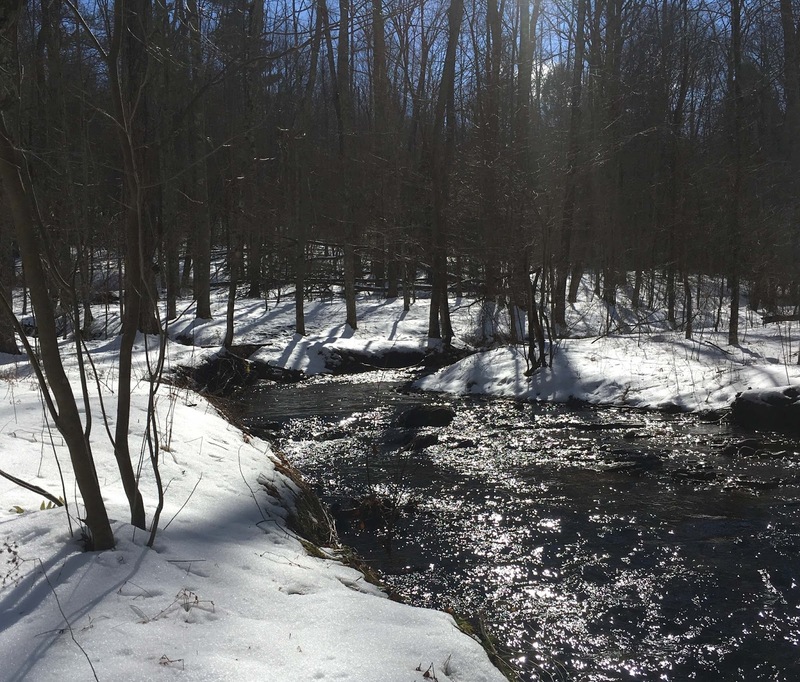 The woods were bright and clear with the morning sun reflecting on the snow which had recently fallen. The air was warm and there is a growing sense that winter's grip is weakening. 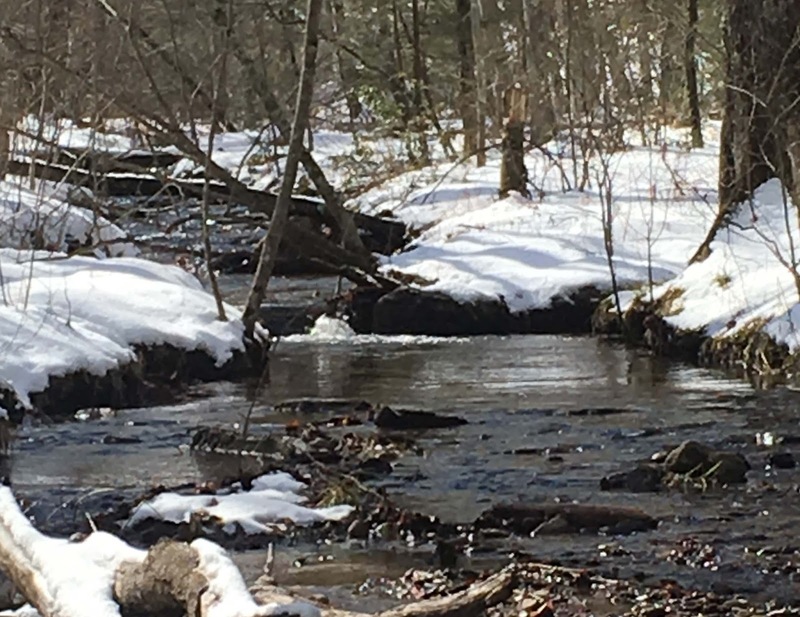 There will be more cold and snow before spring finally arrives in full measure but winter's days are dwindling. 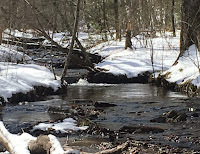 The days are noticeably longer now but the water remains cold, barely above the freezing point, cooled by melting snow and cold evenings. 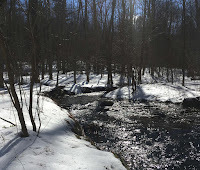 The mind, legs and lungs were looking forward to a rigorous walk in the woods, covering lots of ground, but the wet snow kept strides more measured and careful. Nevertheless the warm air and bright sun were a welcome respite from winter's more typical days. 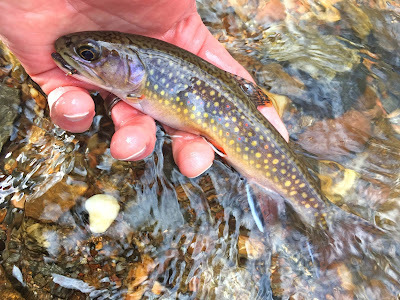 The brook trout seemed a bit more active although one wonders if the changes we sense on land are noticed in the still icy currents of small streams and brooks. A dry dropper proved to be good choice as fish attacked the dry as well the small red brassie trailing behind although the sub-surface offer was more preferred. The upstream trek continued until graying skies and wet feet brought the afternoon to and end.